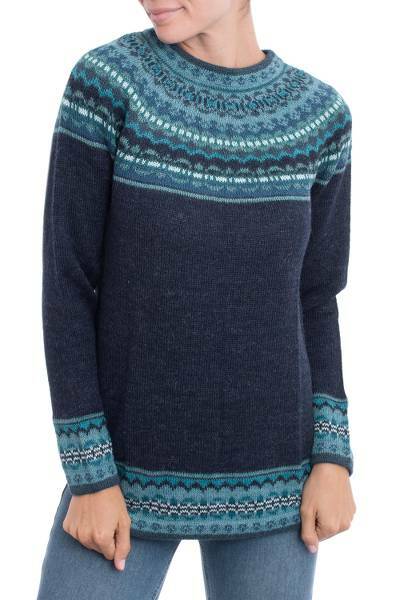 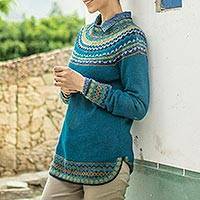 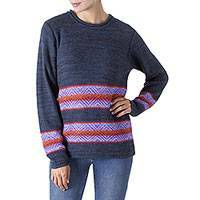 Symmetrical patterns in azure, turquoise, green and steel blue and bring a playful accent to this navy blue pullover sweater from Peru. 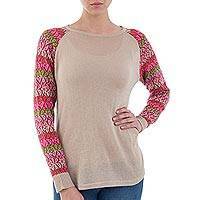 Fernando Cano's design features a soft crew neck and a slightly opened curved waist for a deliciously comfortable fit. 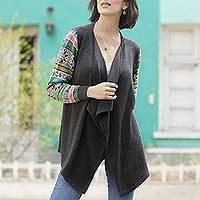 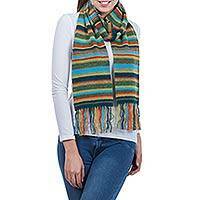 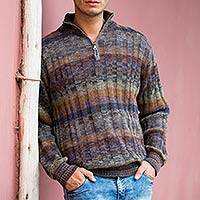 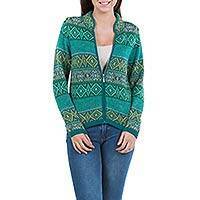 The sweater is knit of alpaca - coveted since the days of the Inca Empire because it is soft, lightweight and warm.